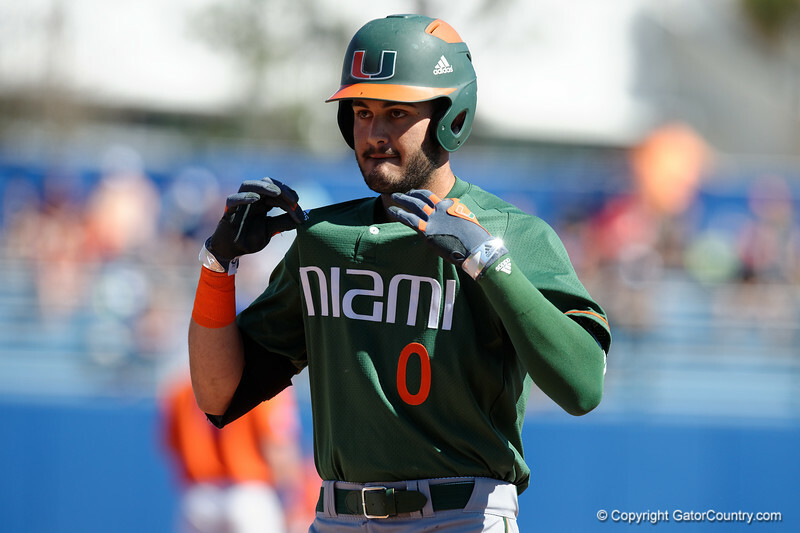 Miami Hurricanes pitcher/outfielder Gregory Veliz celebrates after singling as the Gators sweep the series over the University of Miami Hurricanes with a 6-2 win at McKethan Stadium. February 26th, 2017. Gator Country photo by David Bowie.